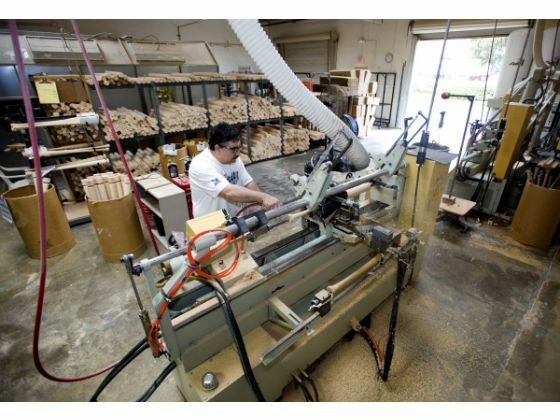 Trinity Bat Company was established in 2005 and founded by the McKee family. Our premier facility is located in Orange County, CA and consists of a state-of-the-art manufacturing space and beautiful showroom. The Trinity team is comprised of experienced members within both the wood bat industry and the professional playing field. The Trinity lifestyle has quickly developed the reputation of crafting the highest quality bats in the game, helping the performance of many of today's top players. Trinity Bat company specializes in creating baseball bats, wooden baseball bats, custom baseball bats, wood baseball bats and trophy bats. 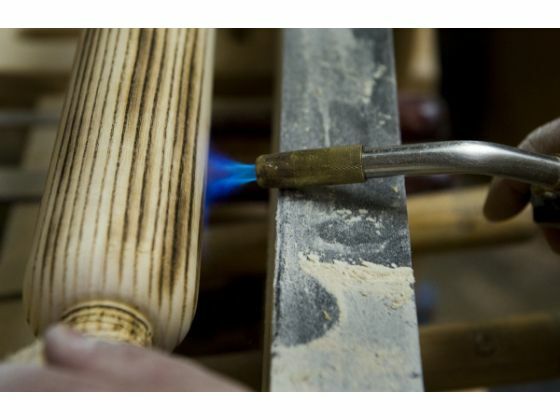 Our customized wood bats are handcrafted with care and precision. Our bats are made using superior pro-graded maple, birch or ash. Every bat goes through our unique bone rubbing process, resulting in the hardest bats in the game! We offer customized models made with perfect balance, tremendous power, and exceptional feel. Once selected, each bat is cut, hand-sanded, bone-rubbed, and hand-finished to the exact specifications of each individual. Our customers are the most important thing to us here at Trinity and we take pride in offering the best customer service in the industry. As our mission states, we believe in treating every person who walks through our door with the same respect we give our big leaguers. Our passion is to find the perfect handcrafted model for each individual, whether in the big leagues or the amateur level. Our ultimate goal is to give players an edge in the box while getting them prepared for the next level.